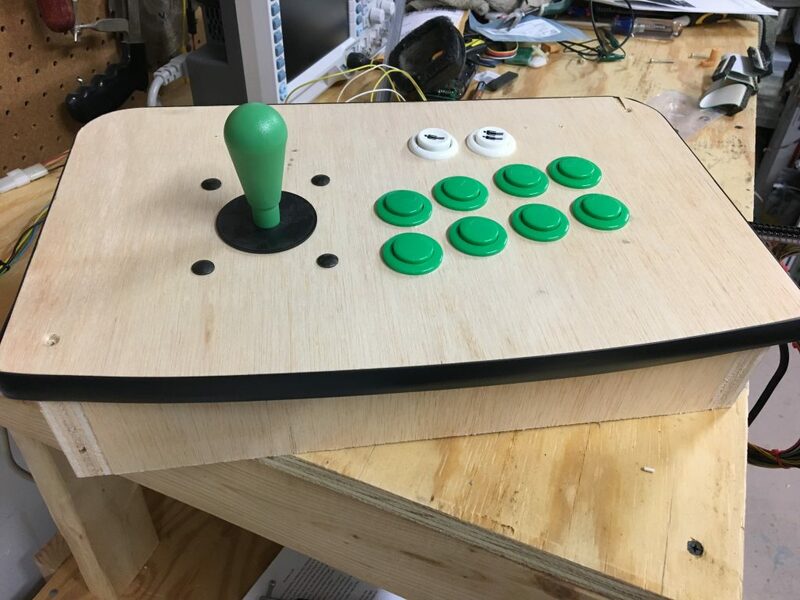 This project started when I wanted to do some woodwork and build an arcade controller. I built the controller this summer with the help of my father-in-law (or should I say I watched my father-in-law make it :). 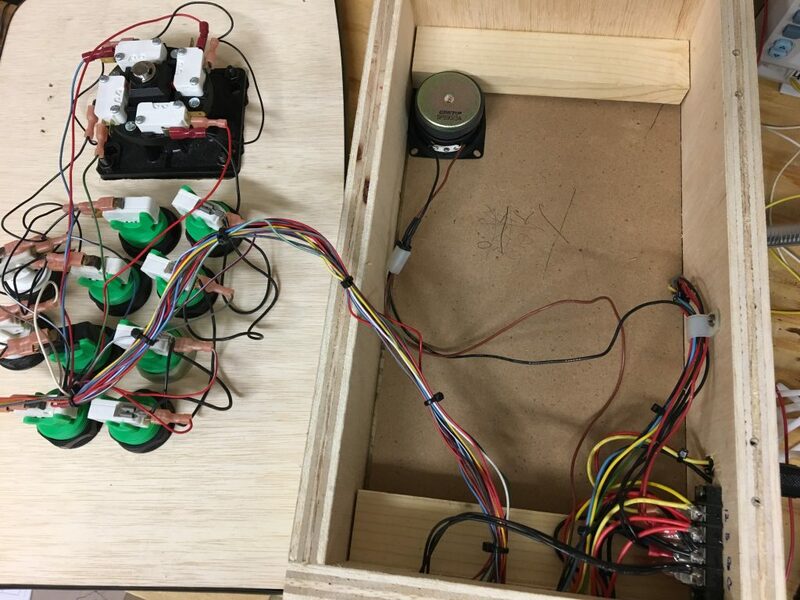 The controller was made with plans provided from ArcadeCab. They were easy to follow, and really liked the look of the finished product. I choose not to use a trackball for the top part and instead added a joystick along with buttons. I found a template online and that worked well, too. 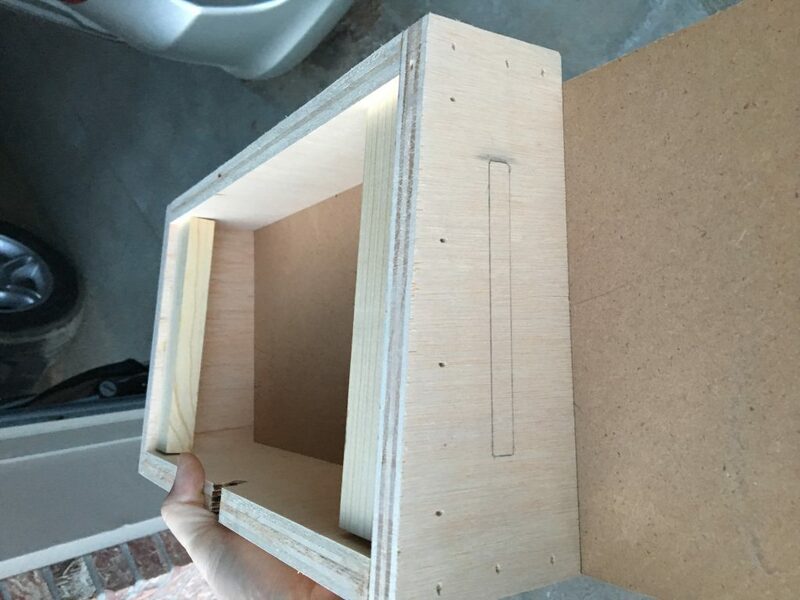 Ideally, any type of box would work for this project. I just happen to have this on hand, so it made sense to use it. I wanted to take it a little project a bit further and make into a portable PCB tester/Super Gun. 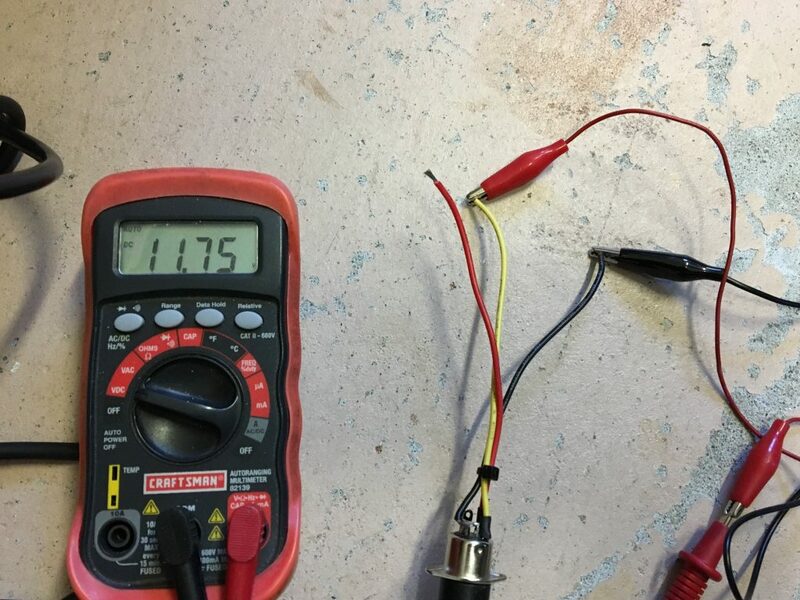 If I am making a house calls, it’s always nice to test a PCB, monitor, or power by itself. This makes it easier to troubleshoot when you can pinpoint the problem. I needed to add just a couple things to the control panel before I started to wire it up. 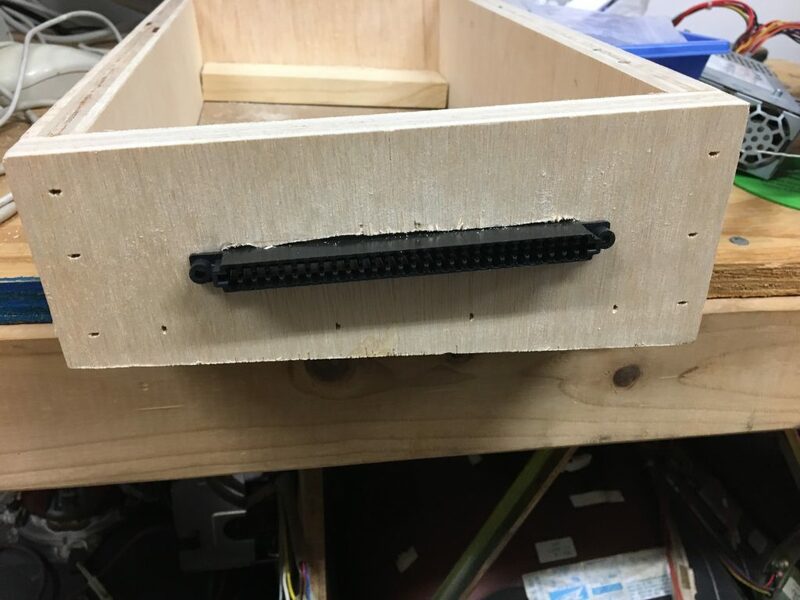 I needed to add a base to the bottom along with cutting out a slot for the Jamma connector. 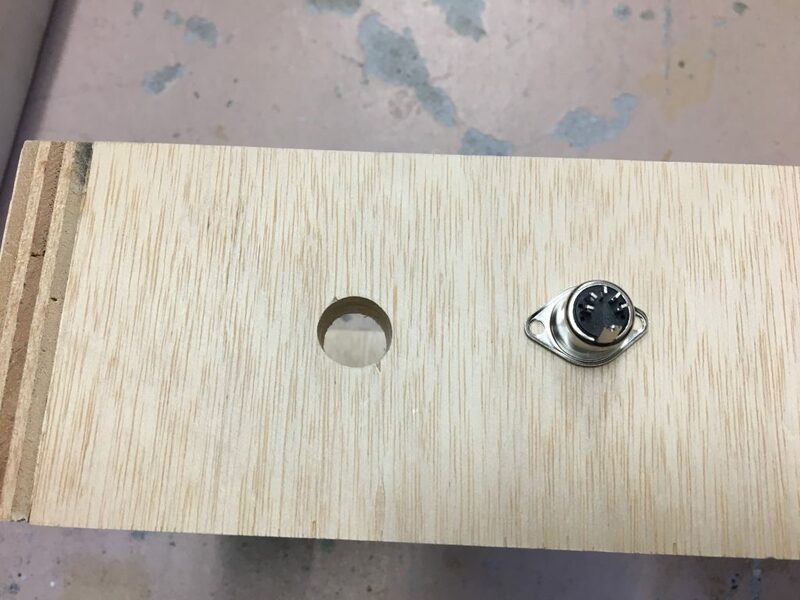 I ran a piece of scrap wood on the table saw for the base and then drilled out pilot hole for the connector. I took a coping saw and was able to cut out the slot along with cleaning the cut a little bit with my Dremel too.. The base board before fitting to size. 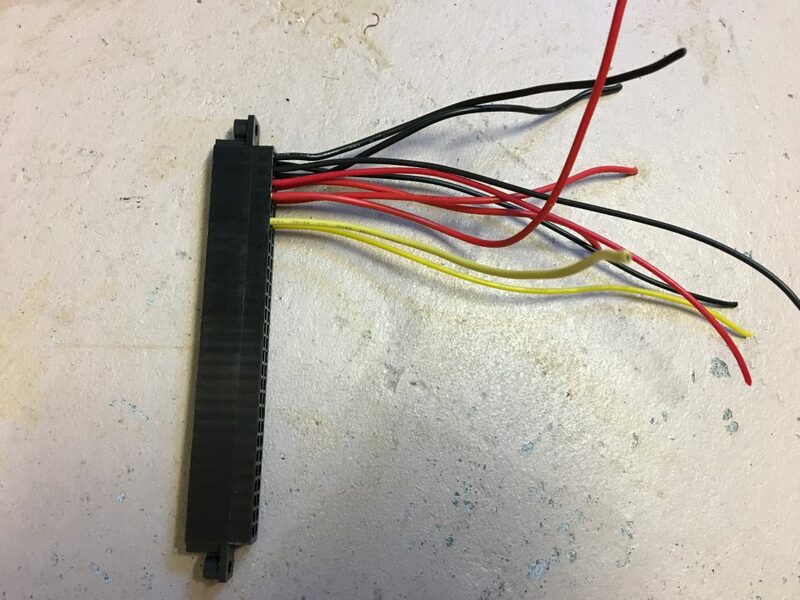 Lining up the slot for the Jamma connector. I was going to use a switcher, but quickly realize I didn’t have the room to add one. I went with an external power supply that can supply both +5 and +12 volts. Looking online, I went with the LANcity SC200, which uses a 5-pin DIN connector. 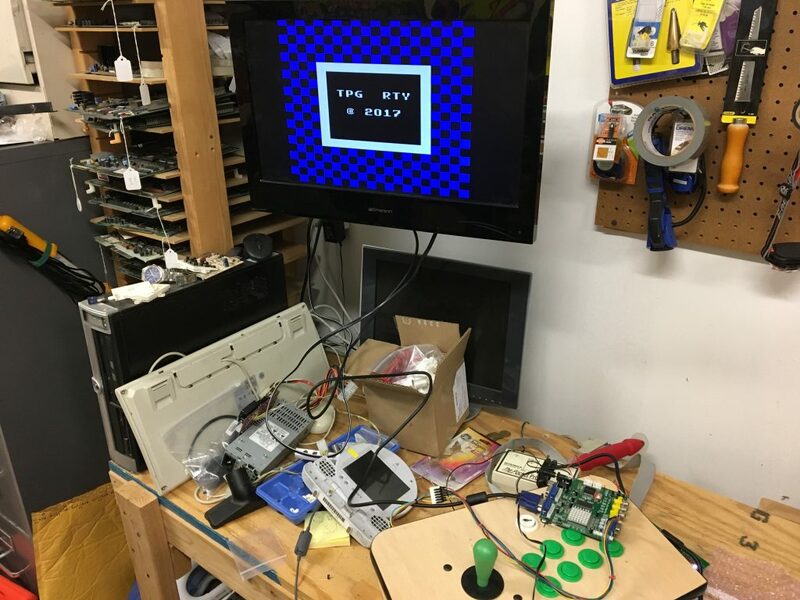 I wanted to make sure the connector, the wiring, and the power supply worked before installing them, and found that all worked fine. 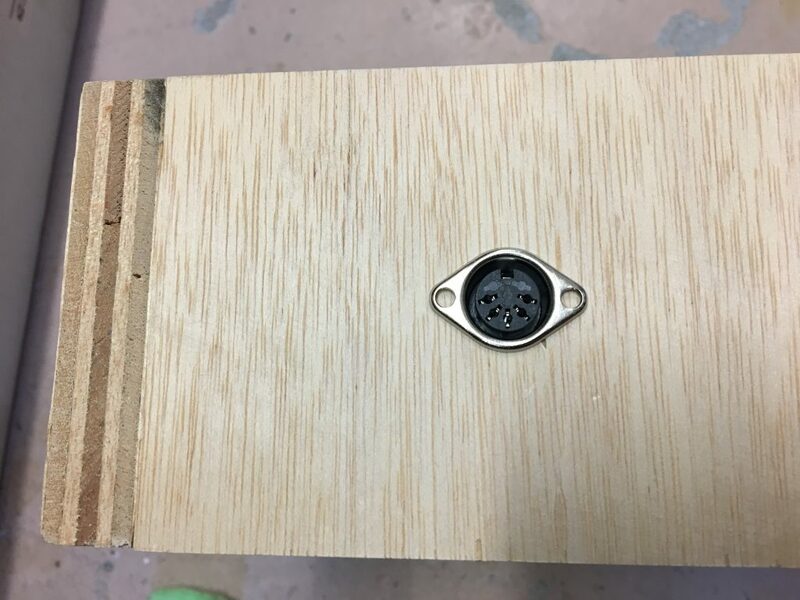 Drilled out a hole for the 5-pin DIN connector. Power coming from the LANcity power supply. Wires from the Jamma harness soldered to the distribution block. speaker + (pins 10) and speaker – (pin L) to the speaker. I added a connector in case I wanted to remove the speaker, or hook it up to my PS1 LCD monitor. 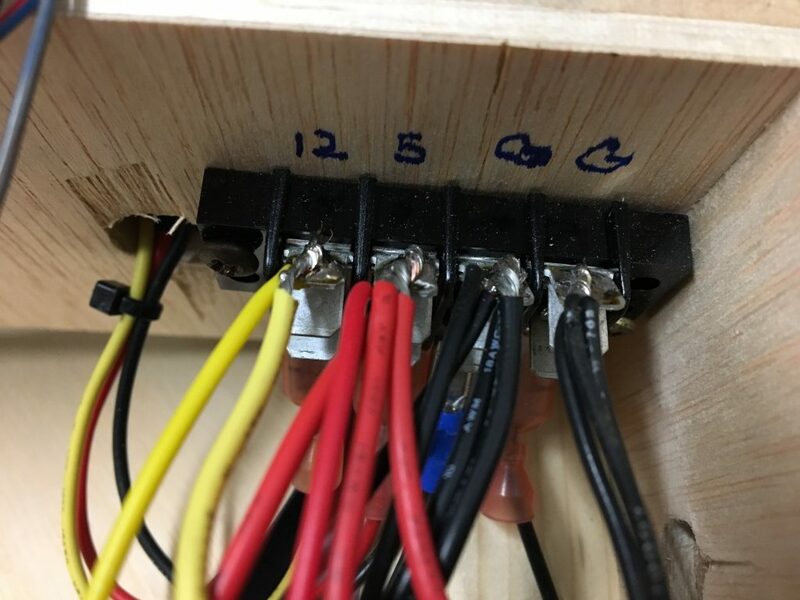 I took the red (pin 12), green (pin N), blue (pin 13), video ground (pin 14), and sync (pin P) wires and placed them into a connector. I like using a 4-pin and 2-pin connector since they will work with most monitors. A 10-pin connector works on some monitors, but there is more flexibility using a 4-pin and 2-pin connectors. Service Switch (pin 4) to the 4th button on the bottom. Inside wiring of the control panel. I tried this on a couple different PCBs and different monitors. I liked the outcome of each test. 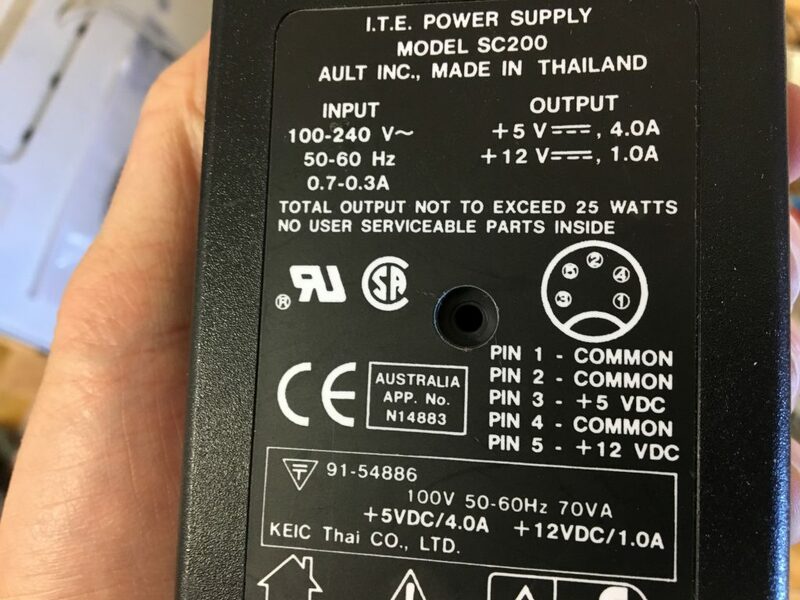 I did run a couple connectors with +5 volts and ground. I ran these to my VGA converter along with the ability to hook up a logic probe. 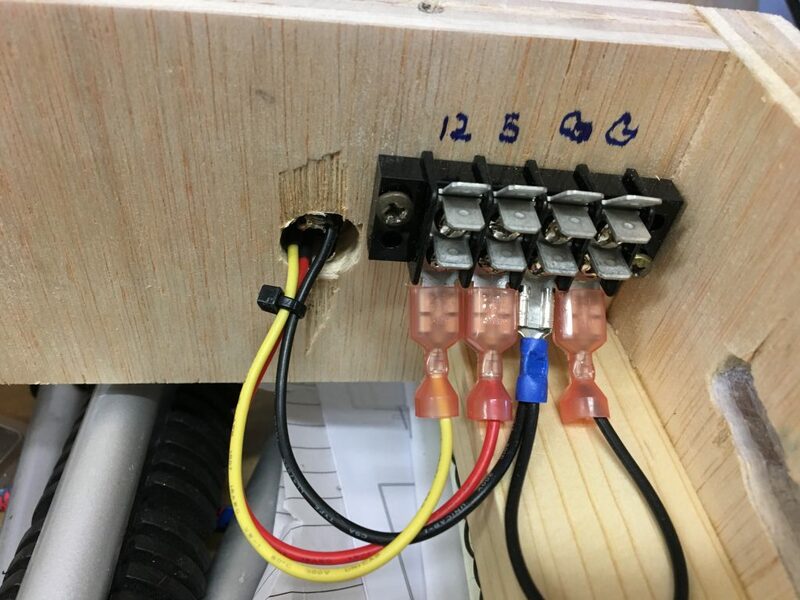 I did not mount the Jamma connecter to the wood. I realized a little bit of slack helped when plugging in PCBs. When I finished this project, I realized I need to add a couple more items when I have a chance. 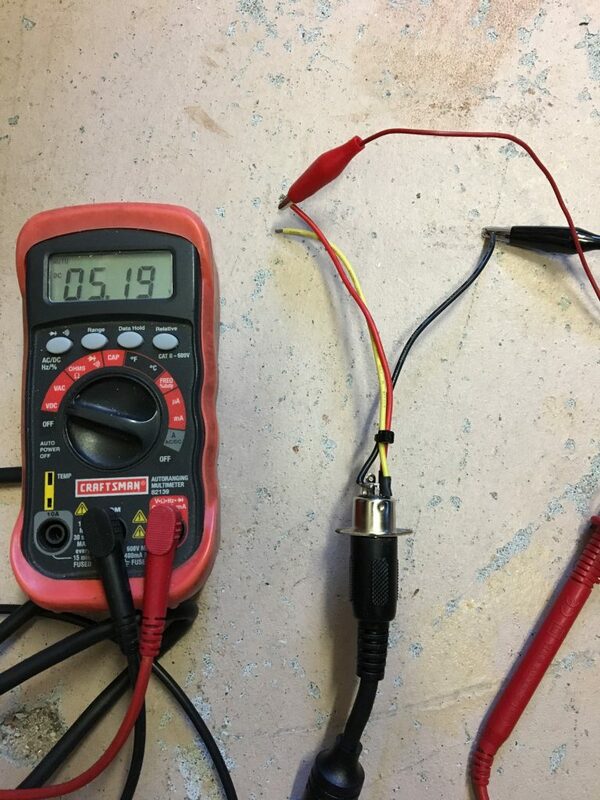 I would like to create a simple circuit that will take the +5 volts and convert it to -5 volts. 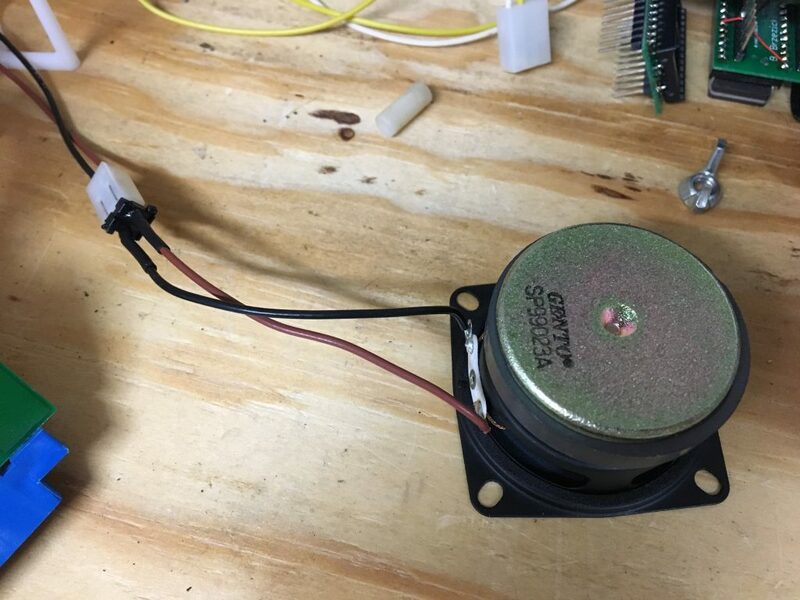 Some of the audio on the PCBs that I tested didn’t work due to not having -5 volts. Another idea would be to add another top for the box and install a trackball. 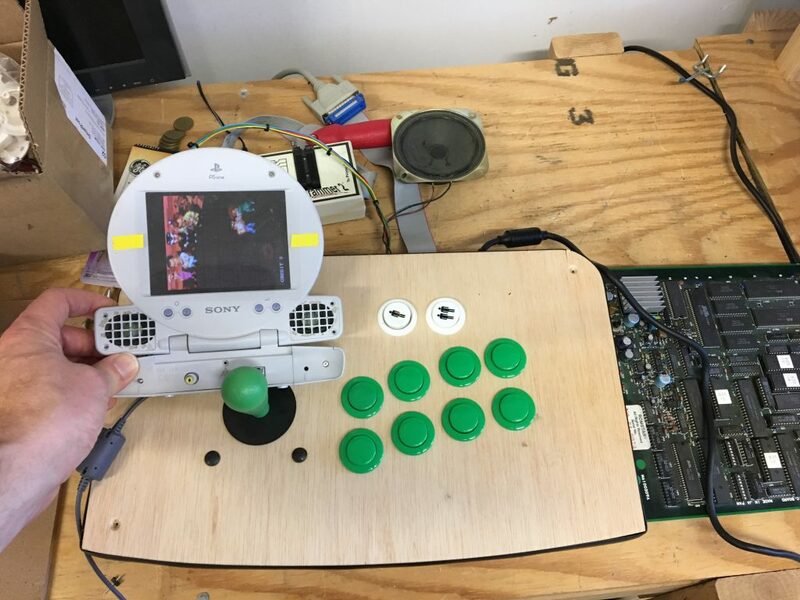 I would need to add a connector to the controls, and this would allow me to switch out between joystick or trackball. Finally, I need to make the box a little prettier. 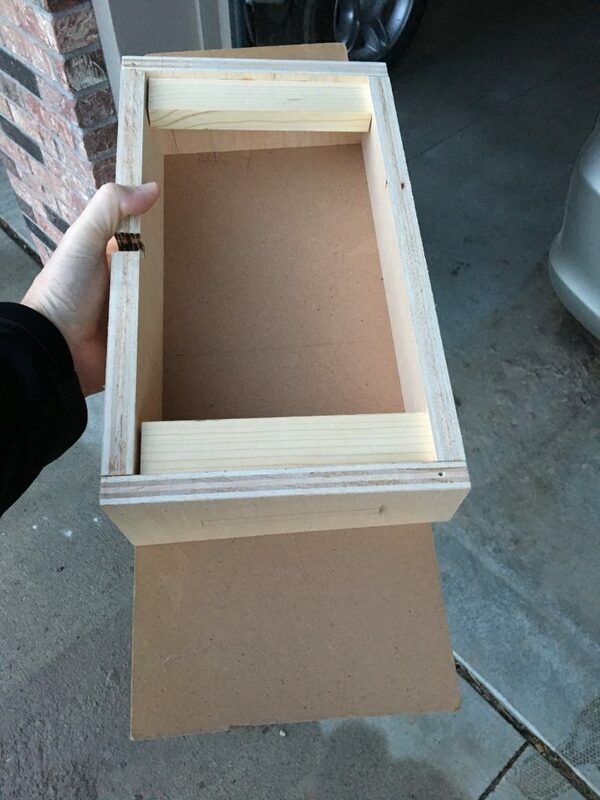 This might include adding some laminate or vinyl to it. Overall, this was a fun project to do and now have an easy way to test PCBs when I am away from my Jamma cabinet. What’s in an Arcade and Pinball Toolbox?